Where Did the Looney Tunes “Acme Corporation” Come From? Reader Brian wants to know: Why is Acme the stock company name used in cartoons and other pop culture? 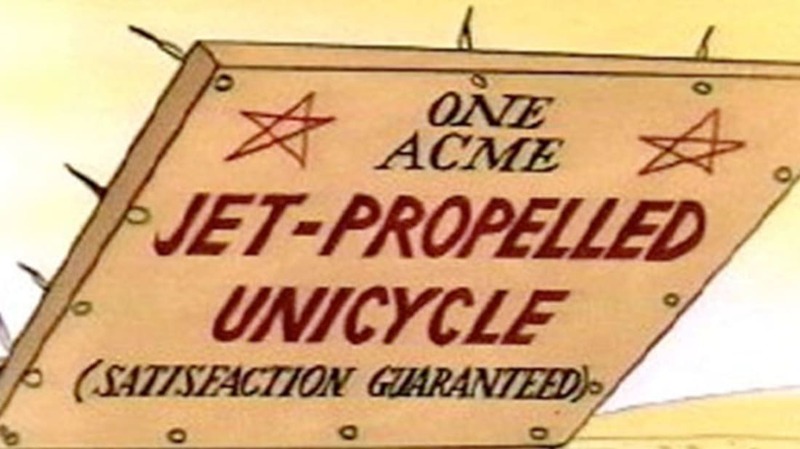 The Acme Corporation is a mysterious conglomerate that appears to make every product imaginable—from rocket-powered roller skates to dehydrated boulders—across several fictional universes. It’s a ubiquitous go-to name for cartoons (thanks largely to its repeated use in the Road Runner and Wile E. Coyote segments on Looney Tunes and Merrie Melodies), but also the name of plenty of reputable, real-world businesses. Acme isn’t a made-up word or a jokey acronym, but comes the Greek akme (the "highest point” or “peak,” and often used to mean the best of a category). Its heavy use in cartoons comes from its popularity as a name in the era when the Yellow Pages and other alphabetized phone directories became common. You can check out all things ACME—in the Looney Tunes universe, anyway—at The Original Illustrated Catalogue of ACME Products.